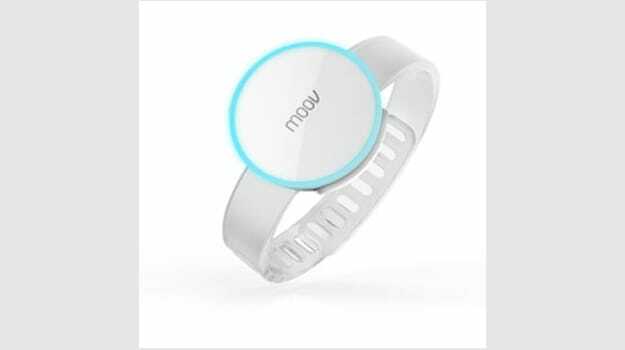 Meet Moov, the first of it&apos;s kind wearable device that tracks your movement and workout activity and provides tangible results and feedback much like you would get from a personal trainer minus the hefty prices. Set up of your Moov tracker is simple, as you just strap it to either your wrist, ankle, or arm and built in seniors track your movements and and form while working out. Following your day of exercise, users sync their device with the Moov app, available on all smart phones, and delivers real time feedback and assessment on your workout as well as providing tips to improve your technique to get the most out of your workout. Moov currently supports running, weight-lifting, cardio boxing and swimming, and plans to add more sports including yoga and martial arts down the line. Unlike other products of it&apos;s kind, the Moov tracker is fully waterproof and the sleek design will not interfere with your daily routine. Moov trackers will retail for $120 when initially released, but they are currently a preorder sale of $59 for one or $99 for two, which can be found on their website.